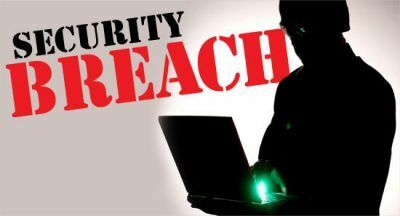 Security breaches and hacking events one after the next are now a mainstay in the news. No system can be absolutely impenetrable at this point, but humans are empowered over computers to protect their online privacy. First things first. Know what you’re dealing with. What are you protecting yourself from and how do you become vulnerable in the first place? If you learn about how hackers gain access to your data, then you can implement the appropriate online privacy measures to keep your personal and confidential data safe. Fake Wireless Access Points – Nothing can be easier than setting up a fake WAP advertised as the “free wireless” network and have all sorts of people instantly connected. Hackers then sniff unprotected data streams that can be surprisingly sent in clear text. Phishing Scams – Malicious third parties send fake emails that look authentic, having adapted to the appearance of your local bank, payment site, or any other subscription service. It would typically request you to verify your credentials upon clicking on the link and once they get the information, they’d get away with your funds. Password Hacking – Bypassing passwords can easily be picked up from a massive data breach. It’s simply a matter of trial and error for a really motivated hacker to discover a router’s password especially if left unchanged or reset to default settings. Free Software – Hackers easily lure even huge businesses onto their trap of shareware or freeware packages. File Name Trick – File-renaming tricks allow .exe files to be easily incorporated in downloads that are accompanied by a virus or malware. Social Engineering – Everyone must be aware of this online privacy hacker tactic especially employees who can be manipulated to give out crucial information through phone, email or social media. Trojans – Malicious programs disguised as something useful, such as an app tool, only to end up installing a malware into user’s computer system which then invades their online privacy. Exploiting Vulnerabilities – Nothing is perfect and everything has flaws and weaknesses. This is the greatest opportunity for hackers to take over a PC or an entire network. Now that you know of these stealthy moves from the most ingenious malware and nefarious hackers, you’ve got five security weapons in the fight for Online Privacy. Two-factor Authentication – Turn this feature on whenever available. Your first line of defense for online privacy is creating a strong password, backed up by the added security of this feature which requires you to enter a code before ultimately gaining access to your account. Encrypted Remote Storage – Online file-syncing services are fantastic and convenient innovations, yet data remains unencrypted. Storing valuables entails the use of an encrypted cloud storage service, better yet, have your data encrypted prior to sending it anywhere. Virtual Private Networks – VPNs serve as an encrypted tunnel that effectively prevents cybercriminals from stealing your credentials and getting a hold of other sensitive information. It gives you the highest level of online privacy and the lowest risk of exposure of your personal gadget or company device, and everything valuable in it. Observe Best Security Practices – Recycling passwords across all sites and personal accounts using overly simple combinations, voluntarily giving out personal details, revealing too much in social media, using multiple credit cards for purchases, and the list goes on to the delight of cybercriminals. These things make you a very attractive target for hackers and must be replaced with best practices. Stay updated with software patches and programs only directly from credible providers and run scans periodically. Take a few minutes to keep your network safe to avoid illegal connections and activities by hackers who connect from the outside. Don’t Be Fooled – Last but not the least, you can never be too cautious when it comes to online privacy. Never trust public wireless access points and any other unknown network. The most common mistakes include connecting to an email or bank account on just about any internet connection. Remember that the best things in life are free, and surely tempting. So don’t be too quick to jump on incredible offerings and free downloads, rather get only from trusted sources. Let hackers realize that they cannot fool you and have you wrapped around their fingers, then they’ll have one less victim to target.